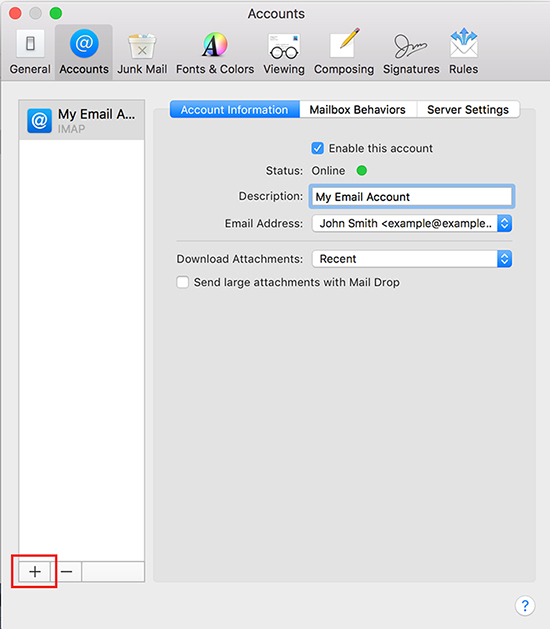 The following email setup guide is for Apple Mac Mail versions 10 and higher. Open up Mac Mail (which is the stamp icon with the eagle). 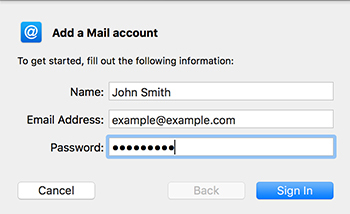 If this is your first email account in Mac Mail, a window will appear asking to confirm what email account to add (skip to step 3). 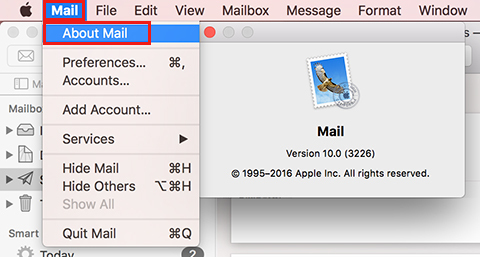 If you have used Mac Mail to setup an email account before, select the "Mail" menu from the top left and then select "Preferences". A new window will appear. 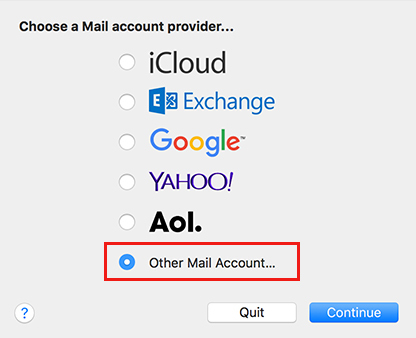 Select the option "Other Mail Account..." and click 'Continue'. 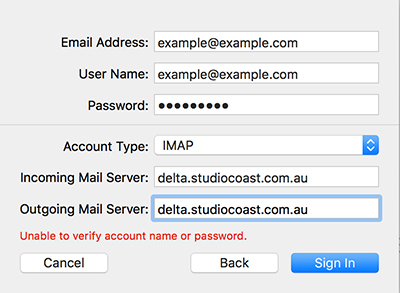 The account requires a manual setup, however it will attempt to try connecting automatically and say "unable to verify account name or password". On the next window, you will be able to manually enter in the information. The Email Address and Password fields should be filled in from the step before. Your username will need to be your full email address. 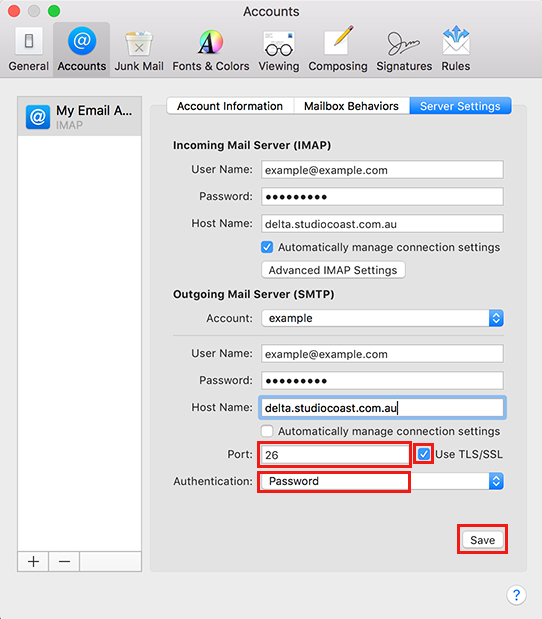 Choose your Account Type and fill in your Incoming and Outgoing Mail Server information as per below. Once completed, select "Sign In". A spinning wheel will appear and it will attempt to verify for a minute. It may come back to the same window again, saying "unable to verify account name or password". Ensure all fields are still filled in such as username and click the button which should now say "Next". Outgoing Mail Server: Your outgoing mail server is the same as your incoming mail server. You will be asked to confirm what apps you wish to use with this account such as the Mail app and Notes. Click "Done" to proceed. Once completed, you will be brought back to the main Mail program window. Select the "Mail" menu from the top left and then select "Preferences". Under "Accounts", ensuring you have the correct email account selected from the left sidebar, click the "Server Settings" tab. 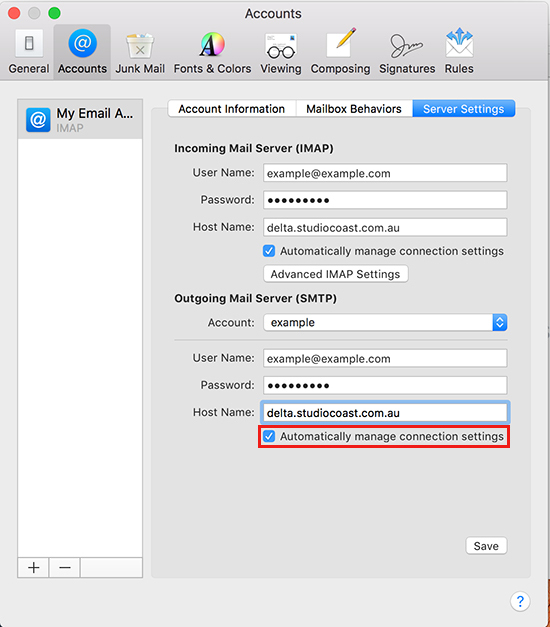 Down the bottom in the Outgoing Mail Server section, untick the checkbox "Automatically Manage connection settings". Some options will appear below it. Fill in the Port Number, SSL option and Authentication method. Once done, click "Save" and then click the "x" in the top left corner to close the window. 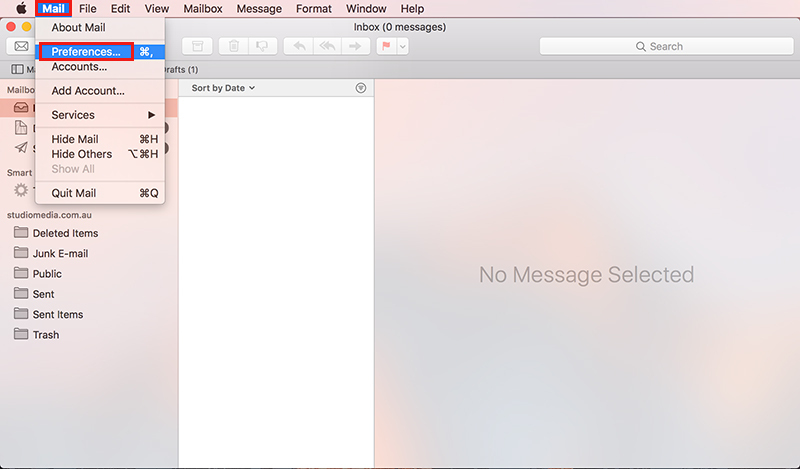 You should now be all ready to start using your email account in Mac Mail 10.